Way to go, Gidi, and the AMS Alpha G R35, running the first 6 second all wheel drive GT-R pass. 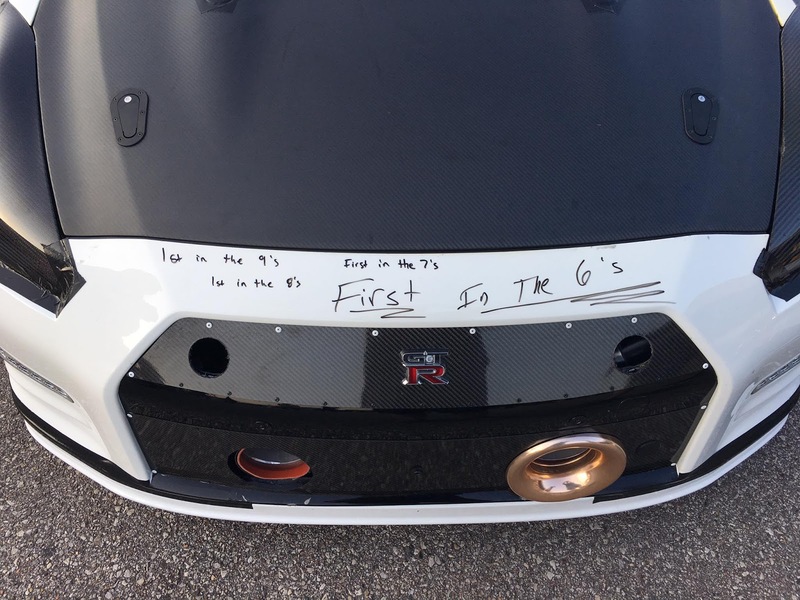 There have been many cars struggling to get into the 6's, and out at TX2K17 today, this 2500 horsepower R35 GT-R, put the number down. Standby for video and updates. Don't think they haven't struggled. Engine last night. Fire couple nights ago. Working hard. Now we know the answer. Its been a long road seeing the R35 evolve in the beast that it is now. T1, MVP, ETS, AMS, Switzer, and many other tuners have created several monsters, and the times just keep getting shorter and shorter. Sean do you think 5 seconds will be possible? 5's all wheel drive. Anything is possible if someone wants it bad enough. However we really do come into limitations. Rear wheel drive, for sure. Tube frame rwd, the engine can make the power, however the transmission, rear end, and driveshafts, maybe not. Perhaps with a complete rethink, rebuild, re-engineer in how it is done. 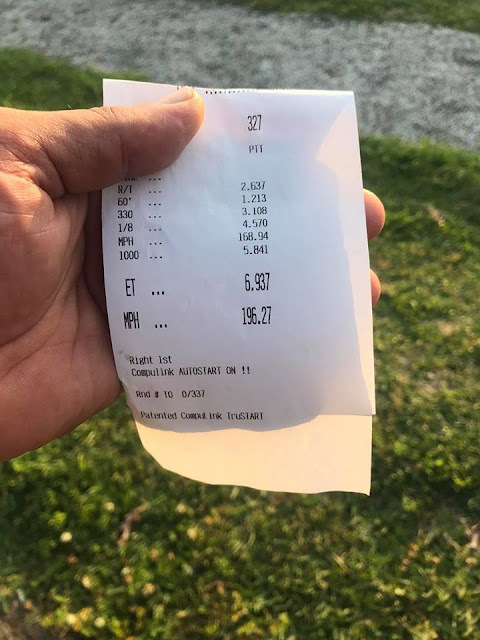 The MPH that these cars have run, would put them deep into the 6's, but that next barrier, probably at least 4-5 more years, if anyone is gunning for it. I think some cars may give up about now. See how EKanoo is retiring their car, ETS has been pushing hard.